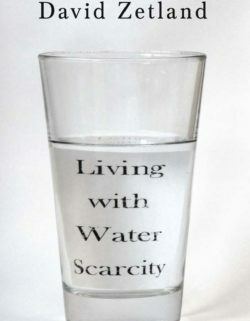 allocate community water before using economics to ration commodity water," says author David Zetland. you want, even if you have time or money. with — water scarcities in both quantity and quality. were essentially the same as those included in the 1993 Plan. CDPH assembled a team of experts that conducted extensive reviews and analyses, resulting in a draft plan that included an overview of drinking water regulation, reviews and plans for drinking water quality/monitoring and threats, treatment technologies, funding aspects and financial assistance, and a focus on the challenges faced by small drinking water systems. 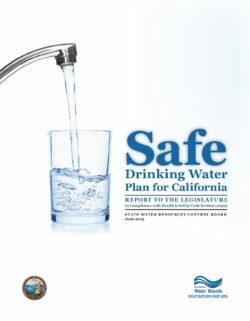 Following the July 1, 2014 transition of the Drinking Water Program to the State Water Board, the draft plan’s recommendations and implementation plan has been enhanced based on the synergies and resources resulting from incorporation of the program into the State Water Board. California continues to be dependent on a mixture of surface water and groundwater supplies for drinking water. The degree to which each type of supply is used in a given year is dependent upon the region of the state, water needs, water resource availability, and climatologic conditions within the state. During periods of normal to high rainfall, surface water sources make up a higher percentage of the overall drinking water supplies across the state. However, during periods of lower than average rainfall, use of groundwater increases and surface water supplies are strained. As California’s population has grown since the 1993 Plan was published, the demand on the State’s limited water resources have increased. To meet this demand, many public water systems (PWS) have promoted conservation measures as well as looked to other potential sources of supply such as recycled water and desalination. Mirroring the regulatory scope of the Division of Drinking Water, the scope of this Plan focuses on the state’s public water systems (PWS), as defined in Health and Safety Code 116275(h). These are systems that either have (a) 15 or more service connections or (b) systems that serve at least 25 individuals daily at least 60 days out of the year. There are currently more than 7,600 PWS in the state. This is a significant reduction from the more than 10,000 that were in existence in 1993. However, California’s population has grown from approximately 29 million to over 38 million. Of those 7,600 PWS, approximately seven percent serve communities with more than 10,000 service connections (approximately 33,000 people). The majority of PWS serve smaller communities with more than 63 percent of PWS serving communities with less than 200 service connections (approximately 660 people). Many of the small PWS are challenged by lack of technical, managerial, and financial (TMF) capacity; many do not serve drinking water that meets standards (“safe drinking water”). In 2012, California became the first state to enact a Human Right to Water law, AB 685 (Chapter 524, Statutes of 2012). Public policy continues to be focused on the right of every human being to have safe, clean, affordable, and accessible water adequate for human consumption, cooking, and sanitation. Water supply, contaminants, costs of treatment and distribution systems, the number and nature of small PWSs, especially in disadvantaged communities, and many other factors will continue to challenge progress in addressing the Human Right to Water. The State Water Board is committed to actively pursuing initiatives to address the Human Right to Water, beginning with the state’s residents who are served by PWS but who do not receive safe drinking water. More than a billion people lack access to safe drinking water. Two and a half billion people live without access to adequate sanitation systems necessary to reduce exposure to water-related diseases. The failure of the international aid community, nations, and local organizations to satisfy these basic human needs has led to substantial, unnecessary, and preventable human suffering. Tens of thousand of people, mostly young children and the elderly, die every day from water-related diseases. 1. Is there a human right to water? 2. 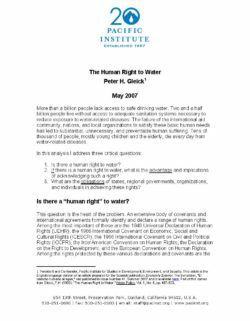 If there is a human right to water, what is the advantage and implications of acknowledging such a right?